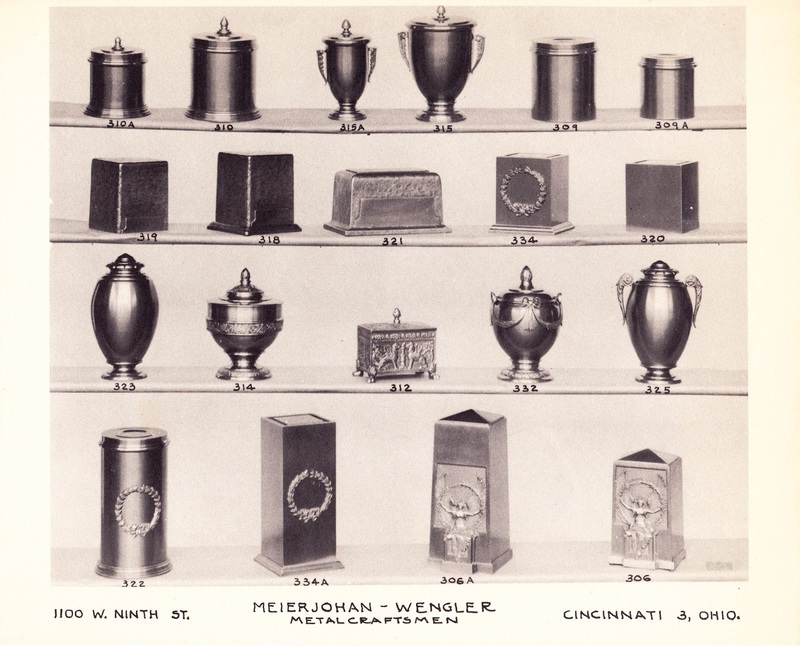 A collection of cremation urns from Meierjohan-Wengler, circa 1950s. 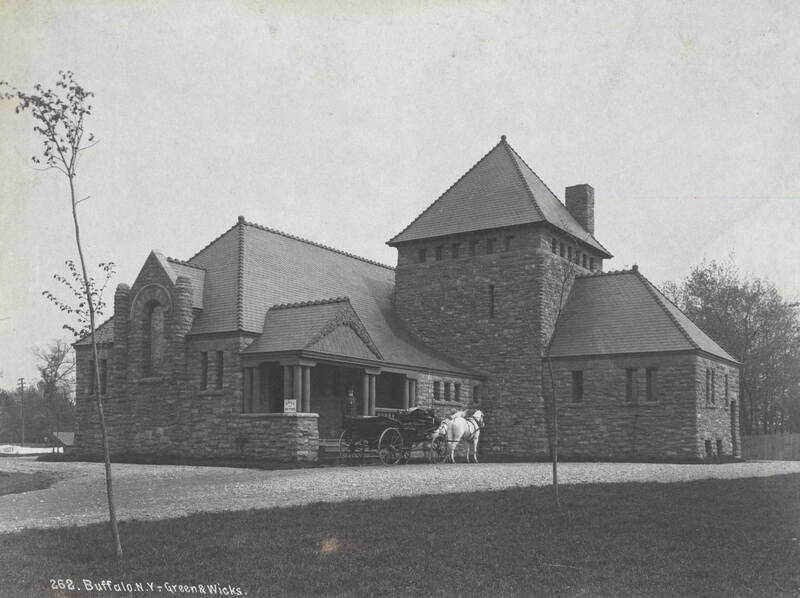 The Fresh Pond Crematory, in Middle Village on Long Island in New York, built the second public crematory in 1885, and is the oldest operating crematory in the US. The Buffalo Cremation Company, Buffalo, New York, built the 3rd public crematory in 1885, and is the 2nd oldest operating crematory in the U.S.
A great video that was shown at the opening ceremony of the 100th Anniversary convention of the Cremation Association of North America. Put together by the amazing talent of Sara Corkery, CANA's media specialist. WELL DONE!!! I was privileged to do the voiceover for one of my heroes, Dr. Hugo Ericshen. 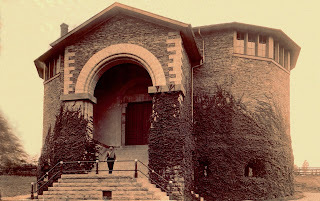 The early crematories in the country generally had a catafalque or bier upon which the casket was placed when it arrived at the crematory. 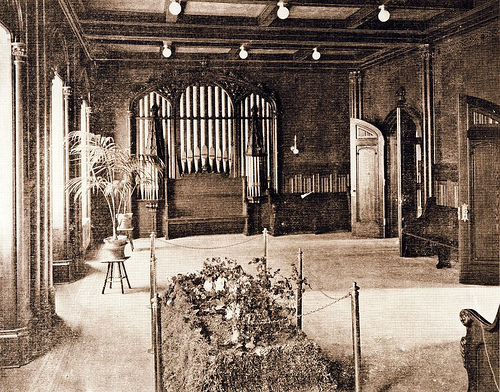 Because committal services usually were held in the chapel, there was some sort of closure that was necessary – such as the lowering of the casket in the grave in a casket burial. 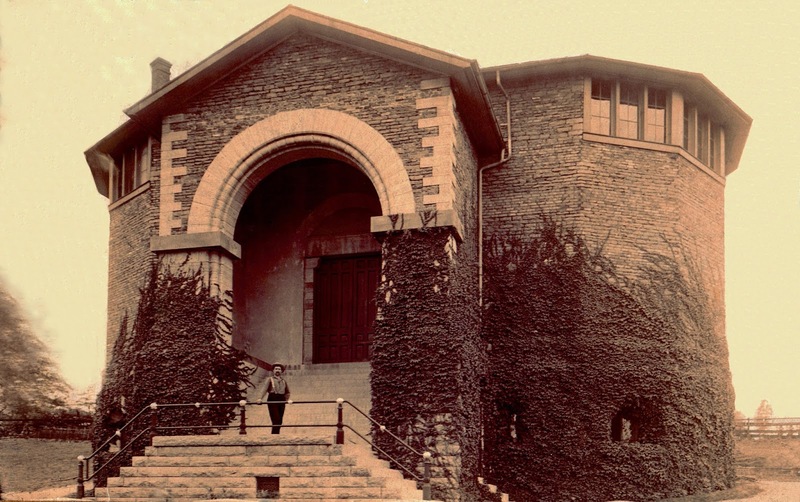 So cremationists mimicked this idea when they placed the cremation chambers in early crematories in the basement of the building and the casket could be lowered to the crematory below. Above is an example of this which was at the New York & New Jersey Crematory in North Bergen, New Jersey, which went so far as to put a cover over the lift that actually looked like a grave, shown lowered below. 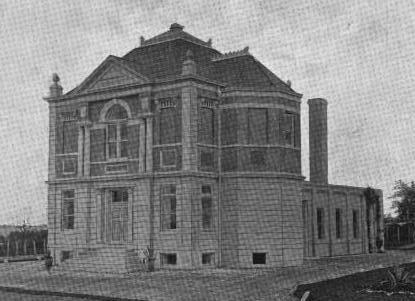 The first meeting of the Cremation Association of America was held at the Detroit Crematorium, which was the 8th crematory built in the US. 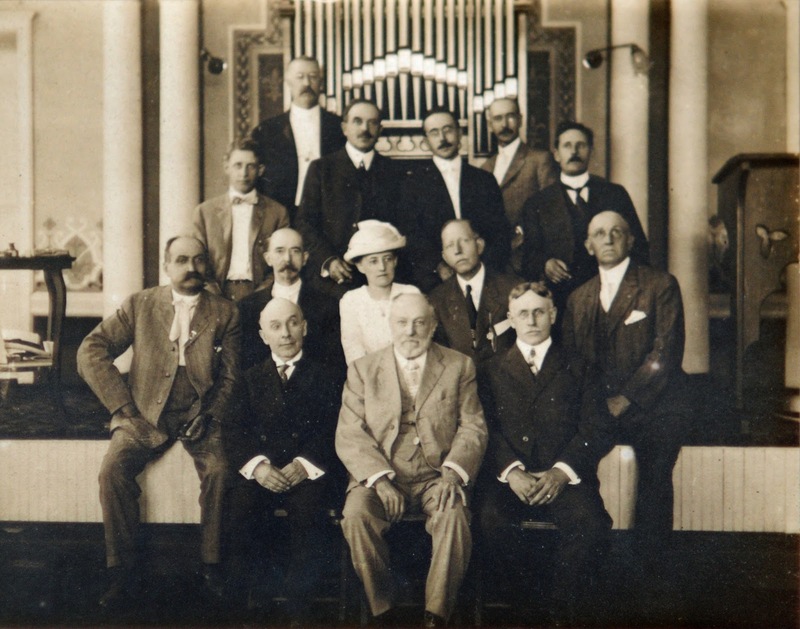 The association was founded as the Cremation Association of America in 1913 but the name was changed to the Cremation Association of North America and the association reincorporated at the 1975 convention. “Nobody wants to be forgotten” is a truism that bears repeating for those in the funeral profession. At worst, it is a cliché that many may consider over used. At best, it is an admonition and reminder of the possibility of our own existence being forgotten when we depart from this life. As a cremationist by personal conviction, I often come in contact with funeral professionals who dislike what cremation creates – or, more realistically, does NOT create. As the historian for the Cremation Association of North America, I have done extensive research into our association’s past – and have realized a few ideas that cremationists have struggled with since cremation has been practiced in the US. To name a few: Unclaimed cremated remains; How to prevent scattering of cremated remains; Permanent Memorialization following cremation; Pricing. Do any of these sound familiar? Obviously, cremation’s past was plagued with the same issues as cremation’s present and future. In reading the proceedings of almost 40-years-worth of annual conventions of the Cremation Association, I have learned some very important lessons that I can use in my daily dealings with families choosing cremation. In my opinion, one of the biggest enemies cremation has ever seen is scattering. 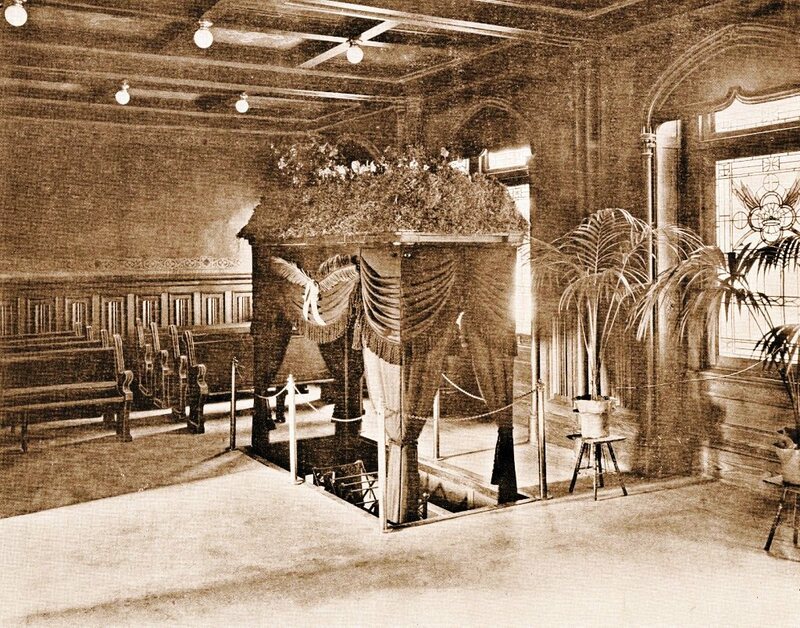 In cremation’s past, the crematory operators of the day frequently combatted scattering by refusing to pulverize cremated remains after they were removed from the cremation chamber. In other words, bone fragments were placed into the memorial urn rather than the reduced powder that is common in modern cases. This prevented the facilitation of scattering. Removing yourself from being a funeral professional, how would you like to be called upon to discard the human remains of someone that you have known and loved? The scattering process places undue grief on those called upon to do it. And, going a step further, once it is done – there’s no changing one’s mind. The permanent cremation memorial is a necessity for future generations. Think of what has been learned about civilizations in ancient history by the study of their death practices! Scattering or keeping a loved one’s remains at home obliterates the possibility of future archaeologists and anthropologists learning about our culture. Paper dissolves, computers crash, but when a name is engraved on a permanent memorial urn made of material that will last, or on a stone marking a place of rest, these permanent, tangible signs provide stepping stones for future generations. This doesn’t even take into account the importance of a family having closure during the grief process – giving their minds peace that there is finality to the death of someone they love. It is the duty of the funeral professional to explain this importance to the families who are in our care. We must do all that we can do to maintain the heritage of our ever-changing culture. To do so is to fully serve those who call on us in times of need. It is, after all, what our life’s work is all about. The first cremation in a modern cremation chamber took 36 hours to complete: 6 hours to preheat, 6 hours to cremate, and 24 hours to cool. Coke was used as fuel and 50 bushels were consumed. The total process cost $7.04. The ancient Greeks believed that their soul could not be released from their body unless their body was cremated. They also believed that their soul could not be at rest until a permanent memorial had been erected. 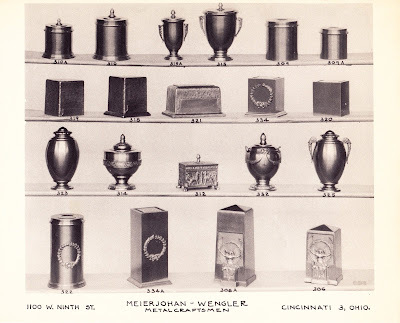 Beginning today, I will endeavor to bring you a new fact regarding cremation, its history, and cremation urns... Stay Tuned!! !